The Maze Runner trilogy was hit-and-miss for me: The Maze Runner (book one) was just okay, The Scorch Trials (book two) was excellent, and The Death Cure (book three) was good but not great. I had a lot of questions after finishing The Death Cure, so I was really excited to see that Dashner has written a prequel to the series. Finally, a chance to get my questions answered! The Kill Order starts with Teresa (I still don't really know how I feel about that sneaky girl) watching Thomas go through the procedure to have his memories wiped. She is watching Thomas, the boy she loves, go through the procedure, all the while knowing she will also go through it the next day, and be delivered to The Maze all in the quest for a cure for The Flare. The prologue ends with Thomas being delivered into the Glade. The majority of the book takes place 13 years prior, a year after the sun flares damaged the earth. Mark and Trina are the main characters, both losing their entire family to the sun flares. They stick together, and meet up with Alec and Lana, who are middle-aged former military members. Their military backgrounds are what save Mark and Trina from certain death in the aftermath of the sun flares. The group, along with a couple of other members, escape to the mountains, somewhere near North Carolina. They form a settlement and are beginning to feel some hope that the world can survive...only to have something even more outrageous than the sun flares happen: people in gas masks and hazard suits come to their camp, from a Berg (like a futuristic helicopter) and shoot members of the camp with darts. Mark and Trina soon discover that the darts contain a virus, which kills most of their friends. The virus is called The Flare, and it is mutating as it spreads, causing insanity to the people it infects. Mark, Trina, Alec and Lana go on a mission to find the people spreading the virus to try to stop it. My main complaint about The Death Cure was that there was a lot of fighting. It was a gritty novel, and The Kill Order was very similar in that regard. There were so many fight scenes that they were beginning to feel recycled by the end of the book. I'm sure a male reader would feel differently and appreciate the fighting more than I did, but all that violence got old for me. My favorite part of The Kill Order was finding out the answers as to how and why The Flare was released. I got exactly what I wanted out of the book: answers and closure. 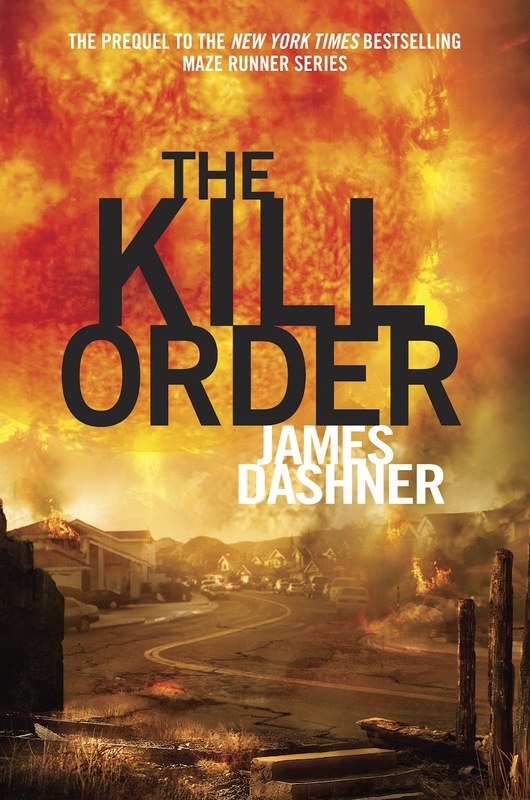 I am glad that I read The Kill Order, because it completely finished out the series for me. I also liked the relationships between Alec and Mark and Mark and Trina. The other Maze Runner books did not have that level of emotional intimacy between characters, and I appreciated the softer side of Dashner's writing. The ending was bittersweet, and wholly appropriate to the series. I loved the epilogue at the end, with Thomas and his mother. It was really touching, and provided some extra warmth to the book. 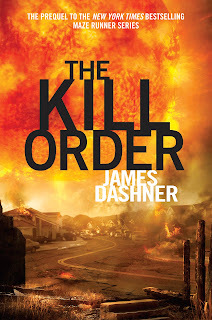 If you're new to the Maze Runner series, I would start with The Kill Order. It will help the rest of the books make sense, and you'll get more out of them, having understood what happened in the past to cause the present events. I really enjoy James Dashner's writing and would definitely read him again. His books are more action-packed and grittier than my usual reads, but they are very unique and well-executed.